Got three books this week! Love: little word, big consequences. Clarissa has never given much thought to the word herself; she has other things to worry about. Her mother is still recovering from breast cancer, and until Clarissa hears that magical word "remission," she doesn't think she'll ever be able to relax. As a distraction, she and best friend Benji try out for a community production of The Wizard of Oz. But sadly only he makes the cut, leaving her disappointed and best-friendless, and forced to spend her time with other people, like boy-crazy Mattie. When Mattie becomes distracted by a new crush, and Clarissa's mother starts spending far too much time with her personal trainer, Clarissa wonders when she stopped being enough for all the people in her life. Enter Michael, who seems to be interested in more than just friendship. But is that what Clarissa wants? Amy and Dan are in a race for their lives . . . and the enemy may be even closer than they think. When seven members of their family were kidnapped by a sinister organization known as the Vespers, thirteen-year-old Dan Cahill and his older sister, Amy, vowed they'd stop at nothing to bring the hostages home. But then the ransom comes in and the Vespers demand the impossible. Amy and Dan have just days to track down and steal an ancient map. The only catch? No one has seen the map for half a century. Now Amy and Dan are on a desperate search that will lead them to the Nazis, spies, a mad king and some of history's dirtiest secrets. It's the race of their lives . . . and one misstep will mean certain death for the hostages. Chelsea Enright never expected to inherit her grandmother's lakeside cottage deep in the Adirondacks—a serene getaway that had been mysteriously closed up decades ago. This is no simple bequest, however, because when Chelsea finds her grandmother's WWII diaries, she's stunned to discover that they hold secrets she never suspected . . . and they have the power to turn her own life upside down. Even more surprising is the compelling presence of local doctor Brandon "Yale, and Chelsea soon finds her "short stay" has stretched into the entire summer. She cannot put this cottage and her family's past behind her easily—and the more she learns about the woman her grandmother truly was, the more Chelsea's own life begins to change . . . and nothing will ever be the same again. Great mailbox! They all sound so intriguing...hope you enjoy them. They all look good to me, but Love is a Four-Letter Word is the one that I'm the most curious about. They sound like interesting reads, I hope you enjoy! them. I'm on the More Than Words Can Say tour, too, so I'll keep an eye out for your review. Happy reading! 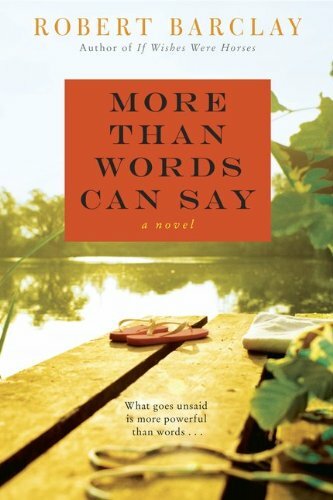 More Than Words Can Say looks interesting! I am having my first book giveaway hop over and enter! 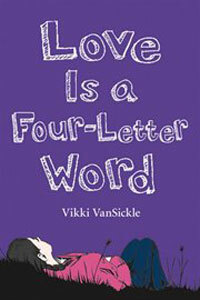 Love Is a Four-Letter Word sounds like a good one -- hope you enjoy all your new books! Oh and by the way, I forgot to answer your question on my MM post a few weeks ago about which second-hand store I'd gotten my books from. It was Le Chainon, which is on St-Laurent. I'd never been there before but they have quite an organized selection of books upstairs.